As part of our mission, JAHA maintains extensive archives and museum collections that pertain to the history of Johnstown and the region. JAHA undertakes a wide variety of projects that help us fulfill our mission, often partnering with other agencies and community organizations. This page offers a sampling of some of these projects and is not by any means comprehensive. The Pennsylvania Railroad Station in Johnstown was built in 1915-16 to replace an earlier station built in the mid-19th century. 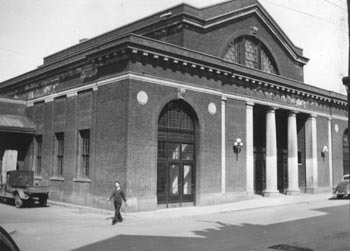 The station was owned by the Pennsylvania Railroad until 1977, when the company and the station became a part of Conrail. The building was sold to the first of two private owners in 1985; the station was donated to JAHA by Carole Furst Gigliotti and Harvey and Katherine Supowitz in December 2010. In 2016, JAHA was able to raise enough funds to kick off an extensive rehabilitation project, which includes roof and gutter replacement as well as upgrades to building systems, exterior paving, and lighting. Amtrak completed renovations related to Americans with Disabilities accessibility requirements. The construction was completed in 2016-2017. 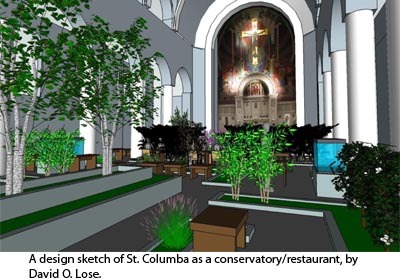 Five ethnic Catholic churches in the National Historic District of Cambria City were merged in 2009, leaving three historically and architecturally significant churches vacant. JAHA is working with Partners for Sacred Places, a non-profit organization from Philadelphia, as well as the Johnstown Redevelopment Authority and the local grassroots organization Save Our Steeples on ways to preserve these churches (Immaculate Conception, Sts. Casimir & Emerich, and St. Columba). 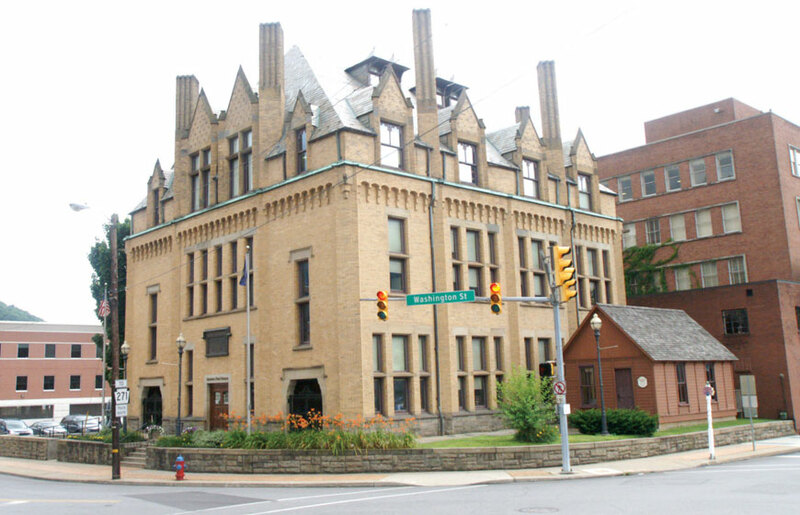 In November 2010 a design charrette was held with more than 100 Johnstown residents in attendance, and several architects and design professionals developed concepts for ways these buildings can be reused to meet current needs while retaining their architectural integrity and historic significance. JAHA worked with Lift Johnstown and several additional partners on another charrette in October 2011, which was about planning for the entire neighborhood of Cambria City. Many of the architects and designers from the first charrette returned to take part. With the help of a volunteer committee and the Johnstown chapter of the NAACP, JAHA researched the history of African-Americans in the Johnstown area. An AmeriCorps volunteer spearheaded the research under the direction of JAHA’s curator. The bulk of the research was completed in 2003. In addition, JAHA is currently working with a committee to create a permanent gallery and meeting area devoted to African-American history, to be located on the first floor of the Heritage Discovery Center. 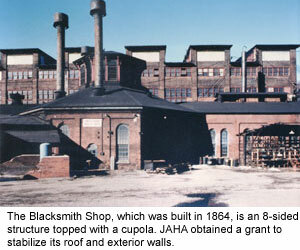 The Blacksmith Shop, which is owned by the Johnstown Redevelopment Authority, is the most historically significant structure left in the Cambria Iron & Steel National Historic Landmark. Stabilization repairs to preserve the building were begun in 2004 with funding JAHA obtained through a Save America’s Treasures grant from the National Park Service; this project includes stabilization of the brick walls using historically appropriate materials, roof replacement, repairs to the wooden cupola atop the structure, and replacement of the doors and windows. Funding for these activities was obtained from the Commonwealth Financing Authority First Industries Tourism Planning Grant Program with the help of State Senator John Wozniak. In 2018, the Center for Metal Arts moved from New York to Johnstown to begin operations there, fulfilling JAHA’s long-term goal of finding an appropriate use for the building. Morley’s Dog is a Victorian-era statue that washed away in the great Johnstown flood of 1889, but was recovered and eventually became a beloved Johnstown icon. Until 2004 the statue stood in a pocket park in downtown Johnstown, but the combined effects of age, weather and occasional vandalism incidents took their toll, and the statue was removed for restoration. Concurrent Technologies Corp. donated their time and expertise in the conservation, and JAHA assisted with the fundraising effort to conserve the city-owned artifact. In 2011 the conservation was completed, but the statue is too fragile to be displayed outdoors. 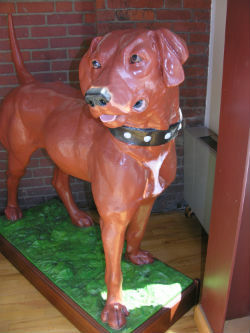 Today Morley’s Dog is an “indoor dog,” faithfully standing guard in the Frank & Sylvia Pasquerilla Heritage Discovery Center gift shop. We expect to move the statue to the Johnstown Flood Museum, where it is more thematically appropriate, when the museum undergoes its planned restoration. In the early 1990s, JAHA researched and successfully nominated several historic Johnstown-area neighborhoods as National Historic Districts on the National Register of Historic Places. This extensive process involved inventorying every historically significant building within each district. The National Register of Historic Places is the official list of the nation’s historic places worthy of preservation, and is designed to foster a national preservation ethic; promote a greater appreciation of America’s heritage; and increase and broaden the public’s understanding and appreciation of historic places. The research has been used to create walking tours and for other purposes. The JAHA-nominated districts are listed below.